Keep your phone or GPS separate from other gear – Take it all with you in Chillswim Inflatable Dry Bag Window, and you can even see you phone or GPS whilst you swim! 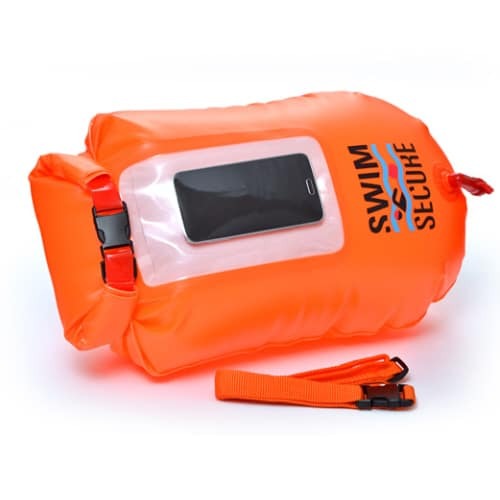 The Inflatable Swimmer’s Dry Bag Window is a brightly coloured inflatable dry bag with leash and waist strap with the added bonus of a window that allows your phone or GPS to be visible on the top of the bag. 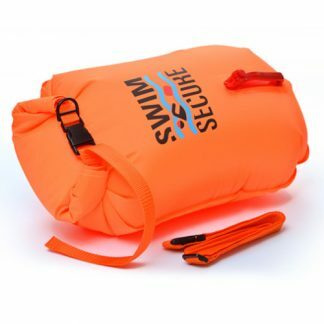 Ideal for storing kit whilst you swim, provides great visibility to other water users in open water, or friends and family on the shore looking out for you, and doubles as an inflatable buoy so if you get tired you can turn around and rest on the bag (and even make a call!). This inflatable dry bag has a small pouch at the front of the bag where you can store your phone or GPS. You can actually use your touch screen phone through the material (it feels a big strange talking into you drybag/phone on the water, but it does work!). 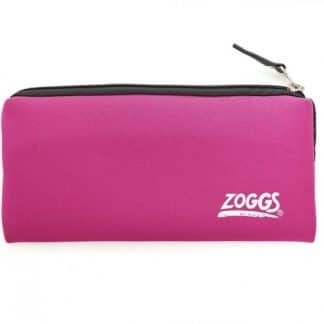 The capacity of the bag is 28 litres and the size before inflation and rolling down to seal is 72 x 37 cm. Each bag comes with a separate blue phone pouch that can also be used with other products. 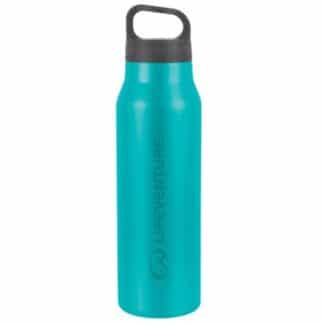 Please note this product is made from environmentally friendly PVC, which is a different material from the other inflatable dry bags (they are a nylon/pvc mix). How it works: There are 2 high flow nozzles; one to inflate the external chamber, which is separate from where your kit is stored; and the second to inflate the storage section once you have sealed the bag. The adjustable dual belt design clips securely around the swimmer’s waist and the leash ensures that the product remains out of swim stroke range whilst swimming. 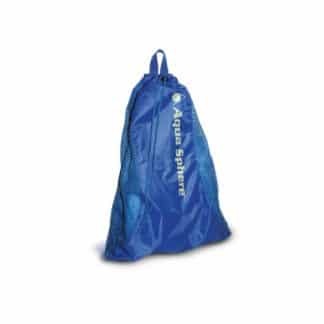 Top tip for using the Chillswim inflatable dry-bag: put your kit in the bag before you inflate it!